If there’s one thing you’ll know for certain about babies, it’s when they’re wet. So, it’s exciting to discover a brand that can handle all the messes those tiny tots can make. 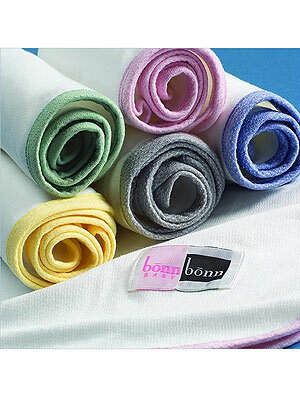 Bonn Bonn Baby designs their cuddly collection of blankets, clothing, crib sheets and swaddlers with absorbent, moisture control fabric that’s oh-so soft. In fact, we’re so in love with their Bozzolo Swaddling Cocoon ($24), which is the simplest way to swaddle a baby we’ve come across yet. Just pull the little pouch up onto baby and tuck in their arms. And, that’s it. Now, nighttime feedings are a little easier since you can free baby’s arms to eat and then tuck them back in when it’s time to sleep. And with the super absorbent fabric they use to make their products, babies who may leak a little while sleeping will stay dry and comfortable throughout the night. Now we know why celeb moms Samantha Harris, Marisa Winokur and Jodie Sweetin love their products. Check out the full collection at bonnbonnbaby.com. Big Big Oh Baby Sale!!! Baby Diapers – Which One Is Best?